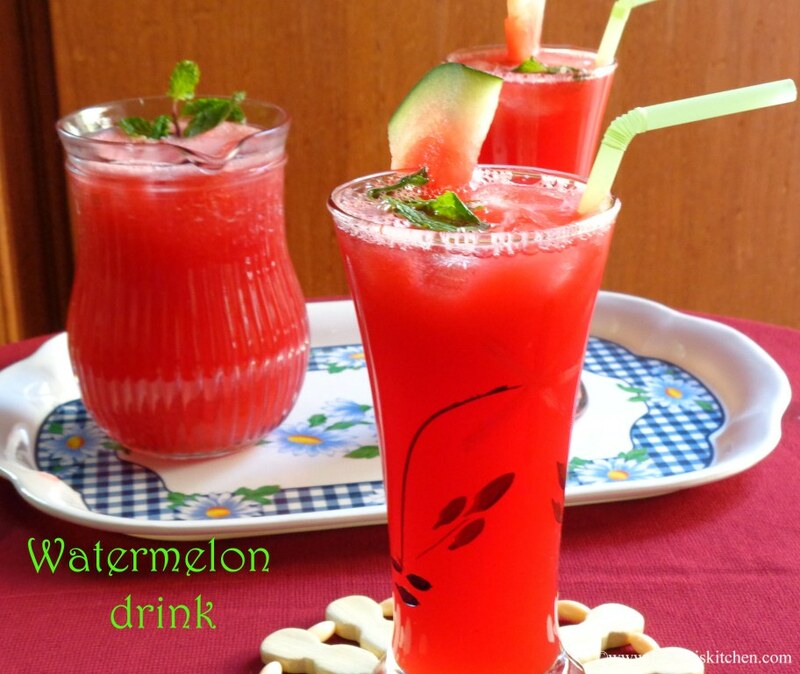 Watermelon drink is very simple to make with blender. 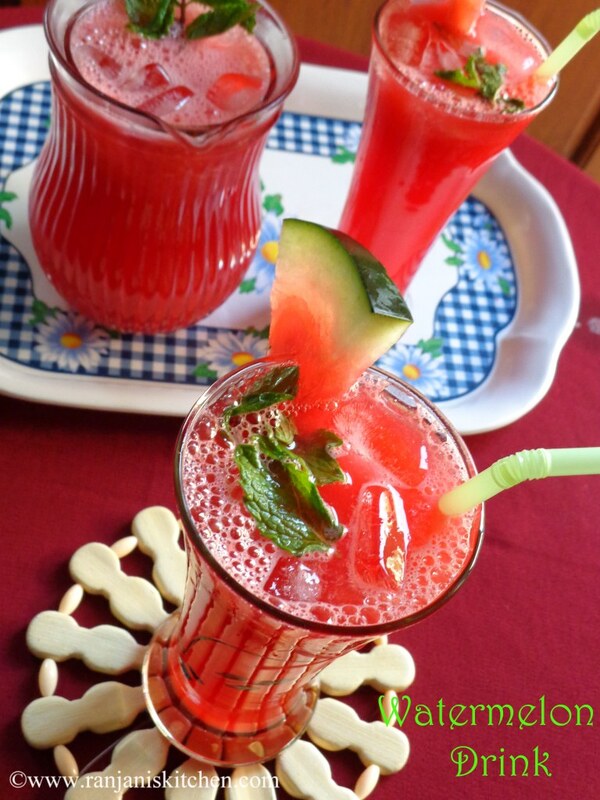 Such an refreshing and hydrating drink.This is a perfect drink to enjoy in this hot summer.Which reduces thirst and heat. Instead of eating the pulps, we can make juices. See the below benefits of watermelon. 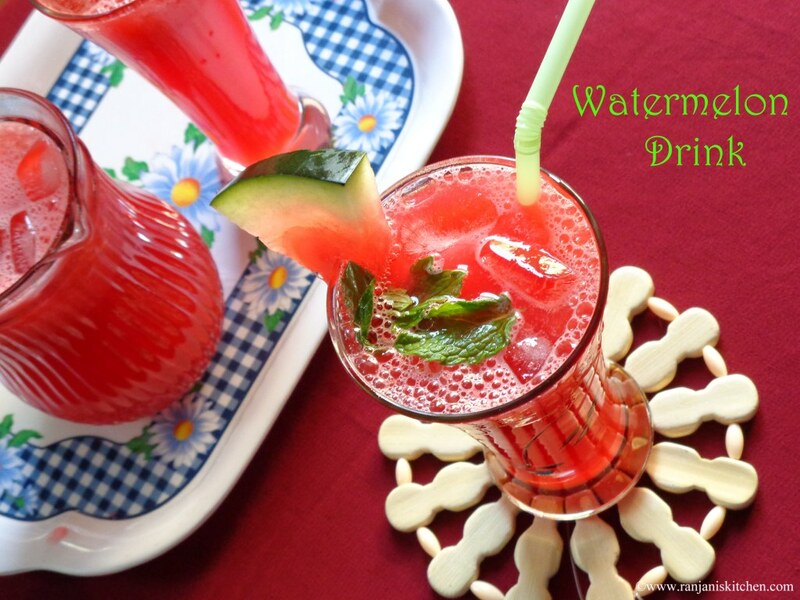 Try this healthy and tasty drink. Cut melon into slices, remove the seeds and just cut the red pulps alone into cubes. 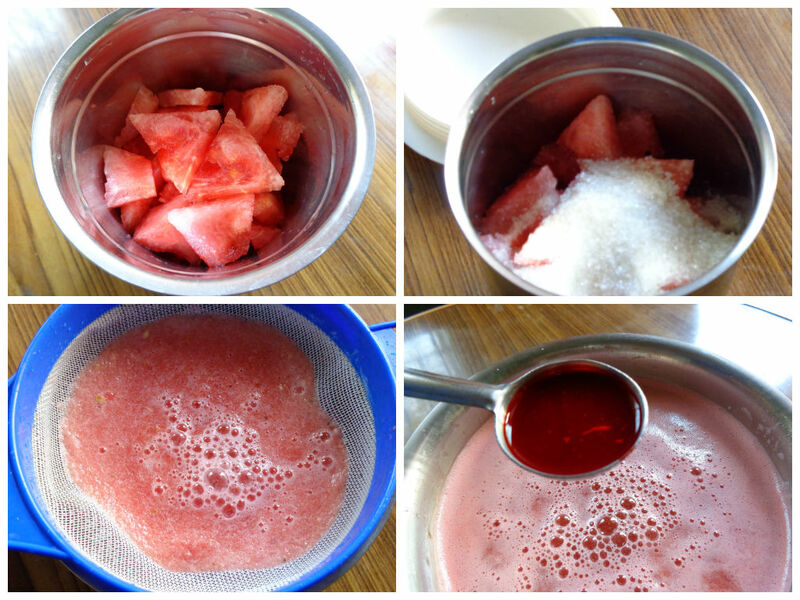 Add melon cubes and sugar in blender. Blend well and filter the juice. Then add 1 tbsp of rose extract. Mix well and add ice cubes . Adding rose extract is optional only. You can skip this if you don’t like. So refreshing…beautiful blend of flavors. Refreshing drink, loved the addition of rose extract. Happy to follow you! Thanks a lot Prachi… I visited yours. You have a wonderful blog. Also will send some of my recipes to the event.